Ford recently unveiled the all-new fourth-generation Ford Focus in Europe and China. The new car has been completely revised inside and out with new powertrain options as well. The car will be available globally as a four-door sedan, five-door wagon, and five-door hatchback. These body styles are also available in various trim packages. 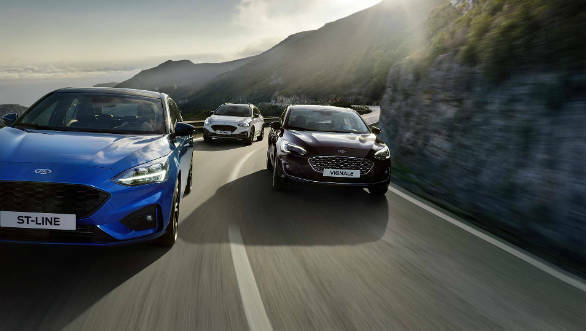 In Europe, the Focus can be had as a sporty looking Focus ST-Line, a premium Focus Vignale, and a slightly raised Focus Active. Chinese buyers can get a different ST-Line trim option and a high-end Titanium variant. Mechanically, Ford says the new Focus is now 20 percent more rigid due to the new chassis and suspension. The new electrically assisted steering is said to offer more feel as well. Engine options are a 1.0-litre EcoBoost turbo three-cylinder(84PS/99PS/123PS), a new 1.5-litre EcoBoost turbo inline four (148PS/180PS) and a 1.5-litre(94PS/118PS, 300Nm) and 2.0 litre EcoBlue turbodiesel (148PS, 370Nm). The new Focus will come with a suite of driver-assist features. These will include evasive steering assistance, adaptive headlights, an updated park assist system that can automatically shift from drive to reverse, and adaptive cruise control with stop-and-go functionality, speed-sign recognition, and lane-centering functions. 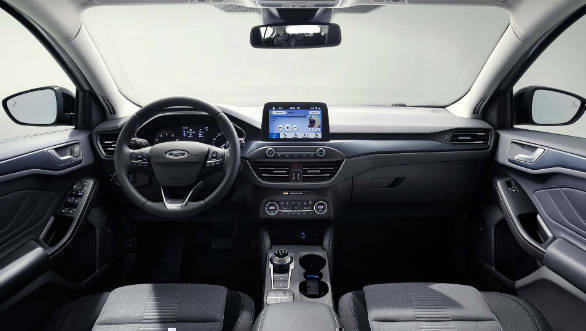 The Focus will also have Ford's Sync 3 infotainment system on an 8.0-inch touchscreen, compatible with Apple CarPlay and Android Auto. Visually the car has a more appealing front end with new swept back LED headlights, new grille, longer bonnet and redesigned bumpers. The side profile looks similar to the outgoing car while the rear is also heavily revised. The car is more aerodynamic now but retains the earlier car's exterior dimensions although interior space is now better. The new platform has also reduced weight by up to 88 kgs. The Focus has always been a bestseller for Ford globally and this model looks to carry that forward. 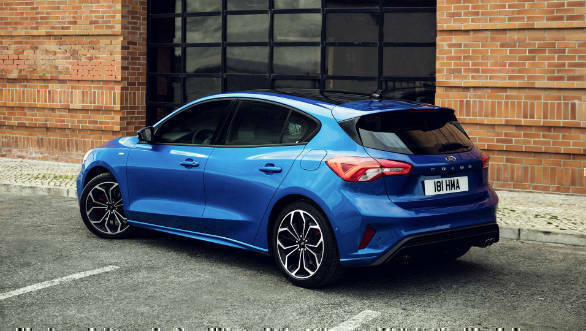 The Focus has appealed to audiences due to its mix of practicality, affordabilty and a driving experience that is a benchmark for the competition. 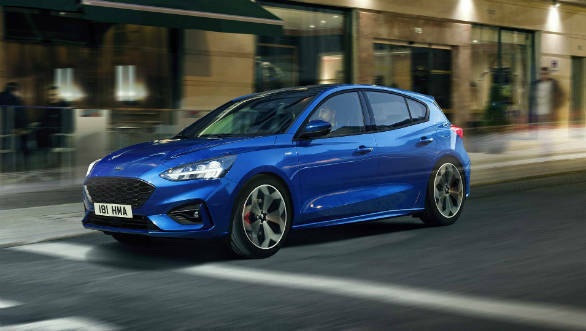 While the car is unlikely to come to India, the still to be launched quicker ST and RS models could make for an intersting proposition for enthusiasts.